Last night I sat down with my roommates, Alicia and Ciara, to listen to Father John Misty’s newest release, I Love You, Honeybear for the first time. Consider our conversation (transcribed below) and pictures we drew while listening, our “review.” Please excuse all tangents. Emily: What else would you say to Honeybear? Alicia: Can I put my hand…in that honey pot? Alicia: Draw J Tillman as Jesus sticking his hand in the honeypot!!!! Emily: I’m not good enough at drawing to differentiate between J Tillman and Jesus … Oops it looks like Jesus has a bump it. 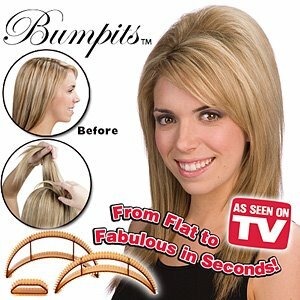 Alicia: What’s a bump it? Emily: There is absolutely NO way that you missed the bump it…. Emily: I’m digging this song. Alicia: Yeah, except, I feel like Spain. Emily: Do you not like feeling like Spain ?!?!? Ciara: Or Inside Llewyn Davis. Ok so that second part, when the lyrics come in, it sounds like a jungle, but like a jungle in the future. Alicia: Dreamgirls? Like, Beyonce Dreamgirls? Emily: This is real gospel-y. Alicia: Yeah it sounded like a really sad night in an old western bar. Emily: I don’t really like this kind of like, throwback Southern/Western gentleman era clothing, or like, attitude. Alicia: Yeah! Like those shirts that are like white lines and color around it? Alicia: I mean, how would you even classify this? It’s not really folk, but people are going to call it indie folk because they don’t know what to call it. And because he has a beard. Ciara: It’s kind of like Edward Sharpe-wave. Ciara: Oh, like on Bill Nye! No, wait, that was if gravity stopped working. Alicia: *gesturing violently* ok ok, it sounds like he’s on a stage, with a spotlight on him, and he’s trying to talk about his feelings but everyone is just laughing at him because they don’t get it. Emily: They don’t get it because, like, they’re just silly Americans. Alicia: I wonder if he’s the guy in that Aziz Ansari joke. Emily: So what do you guys think? Alicia: So we’ve got Ciara’s opinion. Emily: Are you maybe saying it all sounded the same? Ciara: No, wait, I just can’t believe we listened to 11 songs. It started out so different than the way it ended. Alicia: I feel like I was taken through the trials and tribulations of one relationship. Emily: I got that more towards the end than the beginning. Alicia: But the beginning was like the Honeymoon period, and as it goes on it gets chaotic and goes through all these rough patches. And then he sews all the seams back up and at the end it’s tender again.